You are here: Home / Blog / News / BPA: Worldwide Threat To ALL Species from Plastic! 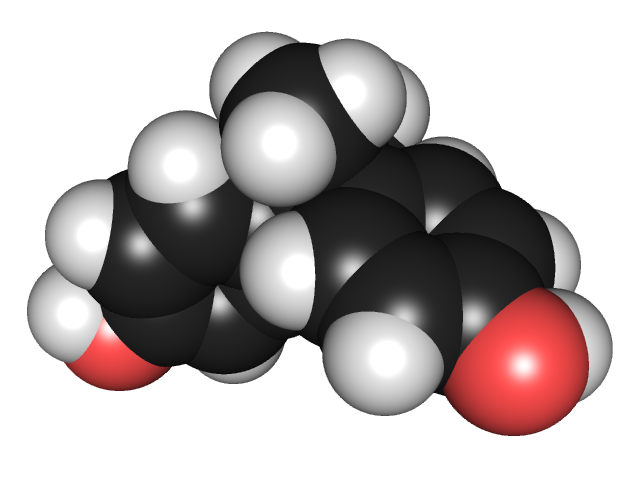 Human males are now far more likely to be autistic, to develop ADHD, Tourette’s Syndrom, cerebral palsy, dyxlexia… Both doctors and researchers now suspect that this hormone-mimicking, endocrine-disrupting chemical is behind the problem. Originally developed in Russia 1891, by condensing acetone, by the 1930’s it was being used as a form of synthetic estrogen. As manufacturing progressed, the chemical began finding other uses. In 1957, it began its role in plastics. Now it’s found in nearly all products in our lives. Over 8 BILLION pounds of BPA are used every year! We have unwittingly tipped the lid on Pandora’s Box. The original expose video of “The Disappearing Male” has been conveniently blocked to residents of the U.S., supposedly by the Canadian Broadcasting Network. Gratefully, Natural News TV has provided it for us via this link: The Disappearing Male – Bishenol-A (BPA). Between the way we use chemicals with BPA in it, and the sheer volume of plastics in the ocean’s gyres, BPA may very well be the single largest threat to life on this planet. Do you use a microwave? The microwaves might not be a hazard, but warming foods in plastic containers is another matter altogether. A prominent biologist talks about the real world risks that the FDA is happily whitewashing in this video: BPA Contaminating Our Food. Pisphenol-A (BPA) is in baby bottles. It’s in infant pacifiers. It’s in canned food liners. It’s in CDs, DVDs, dental and medical implements and supplies… the list is nearly endless. Most importantly, it’s in us, in our bodies. In 2008, a U.S. government study consisting of 2,517 people (age 6 and older) found that 93 percent had BPA in their urine. Children had higher levels than adults. Unfortunately, it would seem no one bothered to find out what is different about those 7 percent who didn’t have any in their urine. Other studies have found BPA in the blood inside newborn’s umbilical cords as well. BPA is everywhere and, as the documentary, “The Disappearing Male” shows, it’s doing widespread damage across the planet. A study done by researchers in France have shown that inner ear deformities and other abnormalities occurred in fish embryos in the presence of BPA. Xenopus tadpoles also showed a marked increase in abnormalities in direct correlation to the increase in levels of BPA in their environment. It’s not just us humans or even mammals being affected. Unless and until we take steps to force it (and its similar compositions) out of use, it is likely that both human and other life forms on this planet will continue to decline. As of this date , NO countries have banned BPA altogether. Canada declared it a toxic substance in 2010, and the EU and Canada have banned its use in baby bottles… but that’s still just the tip of the iceberg. How and why does it matter than BPA is an endocrine disruptor? Many types of cells of many types of animals have receptors for estrogen. BPA binds to those receptors. Dr. R. Thomas Zoeller, a biology professor at the University of Massachusetts’ Amherst campus, said BPA also binds to receptors for male hormone and thyroid hormone. “I don’t know of a single other molecule that does this,” Dr. Zoeller said. Moreover, fetuses exposed to chemicals in the womb (including, but not limited to, BPA) can experience effects later in life, and pass those abnormalities to future generations. Some manufacturers are cashing in on it, charging highly unlikely amounts for BPA-free drinking containers. Sure, it’s better than the risks, but is that gouging necessary? Certainly and obviously not. Plastics CAN be made without BPA. But even without BPA, plastics still leach out other dangerous chemicals. It’s up to us to take the matter into our own hands. Switch to clay, ceramic, stainless steel, aluminum, and good old glass containers. They don’t cost any more than current gouging rates for BPA-free plastics. Moreover, they’re readily recycled, made from natural earth, and don’t have any of the risks of plastics at all! http://www.protecttheocean.com/wp-content/uploads/2016/12/ProtectthetempOcean.png 0 0 John Taylor http://www.protecttheocean.com/wp-content/uploads/2016/12/ProtectthetempOcean.png John Taylor2011-05-25 02:48:552011-05-25 02:48:55BPA: Worldwide Threat To ALL Species from Plastic! $1 BILLION Dog & Pony Show Begins in Gulf Call On Congress For Change! More BP Oil Seeping Into the Gulf!